Help! I've Been Scammed Online! Scammers are doing their best to hit us from just about every possible avenue these days, from email phishing to fake websites to cell phone SMiShing, and everything in between. 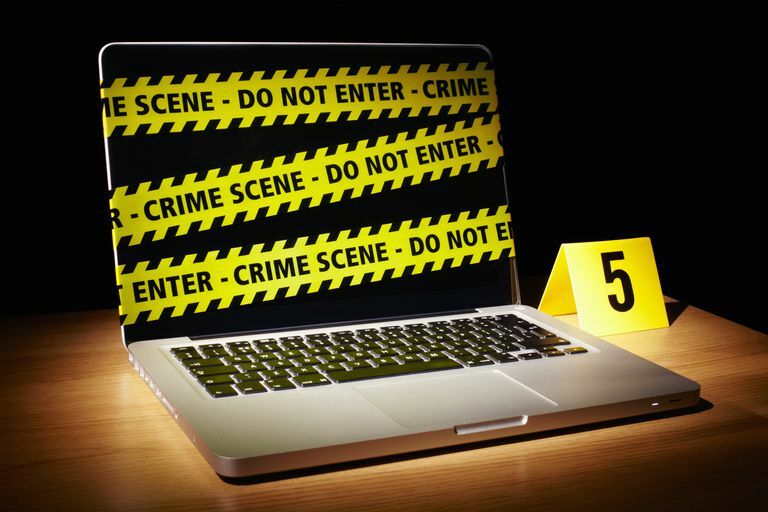 Much like master pickpockets learn to use misdirection to confuse and distract their victims, modern-day internet-based scammers use fear, false urgency, curiosity, and other tactics to help them in their quest to steal money and information. It can be hard to bring scammers to justice because of the difficulties associated with tracking them down. Scammers often cover their tracks by using fake or stolen identities, coupled with anonymizing Internet services, spoofed e-mail addresses, and disposable phone numbers. Victims of scams don't always report when they've been conned because they feel embarrassed for having fallen for a scam. If you have just fallen for a scam, you shouldn't feel embarrassed. It can happen to anyone. Scammers are constantly refining their scams to make them as effective as possible. They know what works and what doesn't. If you've given out your credit card number or bank information to a suspected scammer then you need to tell your financial institution as soon as possible so they can put a hold on your account to prevent further charges against it. Always call them on the number on the back of your card or on your most recent statement. Never call a number in an email as it might be part of ​a phishing scam. Calling the police after you've been scammed might sound silly but it's not. You were just robbed, weren't you? When you're robbed on the street you contact the police, right? It shouldn't matter how you were robbed. The fact that the criminal used the Internet to steal your money doesn't make it any less of a crime. You'll need to file a police report as soon as possible after you've been scammed, especially if money was actually stolen from your account. Your bank and/or credit card company will likely want a copy of the police report as will the major credit agencies. You probably shouldn't call 9-1-1 for this type of issue, unless the scammer is threatening your life and you are in physical danger. When filing an Internet scam / fraud-related report, you may want to call the non-emergency number for your local police department and ask for the fraud or computer-related crimes division. Filing a fraud alert with the three major credit bureaus (Experian, TransUnion, and Equifax) adds a note to your credit file that states to anyone trying to pull your credit that you have been a victim of fraud. The note requests that the business pulling the credit report call you on one of two phone numbers you provided when you filed the fraud alert. This doesn't guarantee that the lender won't grant the thief credit anyway, but at least it throws up a big red flag to anyone who is paying attention. Hopefully, they will call you and you can tell them that you did not authorize the credit inquiry and that the person trying to open the account is an imposter. If you've been the victim of identity theft or you believe that scammers have gotten all the information they need to obtain a credit card or loans in your name, you may want to start monitoring your credit score by contacting the 3 major credit bureaus to request copies of your credit report. While you're on the phone (or on their websites) ask them to place a "security freeze" on your credit reports. Adding a security freeze to your credit reporting helps to halt ID thieves from opening accounts using your stolen identity. When a security freeze is in effect, if someone tries to get a loan or open an account using your name, the credit reporting agency will ask the requester for your PIN or password before they give over your credit score to the lender. Since the identity thief won't know your PIN, assuming the lender is following proper procedures, the lender won't give them an account without knowing if they have good credit. If you opt for a security freeze then you will need to contact all 3 of the major credit bureaus and put in a freeze request with each of them. When you opened that scam-related e-mail, the internet criminals who sent it may have embedded links to malware within the message which may have infected your computer. This malware could be capturing your account information and might be relaying it back to the scammers. Make sure your anti-malware software is up to date and do a full scan of your computer. You might want to install and run a Second Opinion Scanner as well. If you want to learn more about how scammers operate and how to protect yourself from future scams, check out our article on How to Scam-proof Your Brain.